Nicholas is a Trainee Legal Executive at CFG Law and has been with the firm since 2013. As part of the serious injury team, Nicholas is a valued asset to both CFG Law and our clients. He is extremely sympathetic with clients, and truly understands the problems people face after a serious injury. He ensures clients’ needs are at the forefront of everything he does. 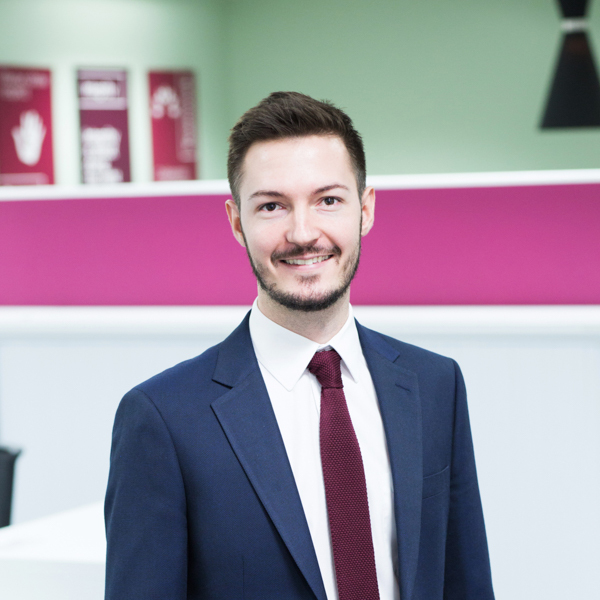 Nicholas also enjoys legal research in his work and looking into complex matters, whilst always ensuring that he does a thorough and professional job. What we know is just how incredibly hard working and reliable Nicholas is. What’s more, he’s a cheerful presence to have around the office. Having an empathetic and understanding approach to serious and catastrophic injury cases. Being genuine and honest with clients and communicating with them regularly about any progress. Looking at cases with a thorough eye and ensuring nothing is overlooked. Going above and beyond for clients and going the extra mile to help them in times of need. Making a real difference and genuinely helping people. Expanding upon his legal experience and understanding of serious injury claims and how injuries affect his clients’ lives. The symptoms, complexities and differences in brain injuries. The psychological overlap that can occur in many different injury types. Karate, football (Manchester City) and music (piano and guitar).